If you are caught up with the news, you likely saw that Samsung recently issued an official recall of millions of its Galaxy Note 7 smartphones. This recall was issued after customers filed multiple reports of their Note 7 batteries overheating and causing burns and fires in cars and garages. It is no surprise therefore, that people have started suing Samsung for injuries and property damage they sustained as a result of these faulty phones. Notably, the first of such lawsuits filed against Samsung was initiated by Palm Beach County, Florida resident, Jonathan Strobel. In his suit, Mr. Strobel alleged that his Note 7 was sitting in his right pants pocket while he was shopping at Costco when it spontaneously exploded, resulting in “severe burns” to his leg and his left thumb when he tried to remove the phone from his pocket. Mr. Strobel alleges the incident left him “in shock and extreme pain due to his injury.” Mr. Strobel’s lawsuit brings up several considerations that plaintiffs face in Florida products liability cases and an example of real-life application of case law to facts of a Florida resident’s problem. Mr. Strobel’s lawsuit follows on the coattails of the case of Aubin v. Union Carbide Corporation, decided by the Florida Supreme Court in 2015, in which the court found Florida courts should employ a “consumer expectation” test when adjudicating products liability cases. 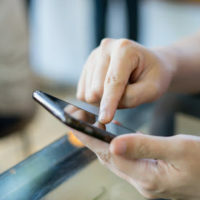 This test provides that the key inquiry a court should make is whether a product (in this case, a cell phone) was unreasonably dangerous because it did not perform as safely as a reasonable customer would expect while the customer is using the phone in an intended or reasonably foreseeable way. Following this test, Mr. Strobel alleges that the Note 7 “was not reasonably fit, suitable or safe to the ultimate operators or consumers for its intended or reasonably foreseeable purposes when manufactured.” Mr. Strobel further alleges that Samsung “knew or in the exercise of due care should have known that the Galaxy Note 7 cellphone… would create a foreseeable risk of harm to users.” Applying the consumer expectation test discussed by the Aubin court, it appears if Mr. Strobel is able to prove his claims, he will be able to recover damages for Samsung’s liability. Florida law allows plaintiffs to recover damages from a manufacturer or distributor if they breached their duty of care to you and this breach proximately caused your injuries. Specifically, you can recover for medical and rehabilitation expenses, loss of income, and expenses for your pain and suffering. In Mr. Strobel’s lawsuit, he is seeking compensation for bills paid to treat the burns on his leg and his left thumb, lost wages, and pain and suffering caused by the phone. In determining what damages Mr. Strobel is entitled to, the court will look at various factors including his medical bills, whether his injury was severe enough that he could not perform his ordinary employment duties, and whether he was using the phone in a reasonably foreseeable or its intended way. If you are injured by a defective cell phone or other product in Boca Raton or West Palm Beach, contact our experienced products liability lawyers at Lesser, Lesser, Landy & Smith, PLLC today to discuss your potential options for recovering from the product’s manufacturer and/or distributor. We would be happy to help go through your claim with you.